As I said in last week's Care for your Hair post, haircare is something that I take quite seriously, though I don't talk about it often on the blog. With that in mind, I thought it might be an idea to start up a bit of a series where I talk you through my favourite products from each haircare category, starting with shampoo. If you didn't check out my post on shampoo, here's a quick overview of my hair - My hair is a medium length, I'd say, and pretty colour damage. I colour my hair a lot and it's not always a subtle colour, but we'll cover that in a bright colour post later in the series. My hair is a bit curly too. Sometimes the curls are nice, other times it's a frizzy mess. When my hair is reasonably healthy I like to use curl enhancing products to neaten the curl and tidy the frizz. Finding your perfect foundation shade/colour matching essentially means finding your perfect foundation shade. You want a shade that seamlessly blends into your neck and evens out anyone skin tone differences (for example, if you fake tan your body and neck/chest, but not your face) and it can be hard, really hard! It's no easy feat and it's something that I know a lot of people, myself included, really struggle with. Everyone has their own tips and tricks to finding their perfect match so today I've compiled a list of tips and tricks of my own (as well as the advice of a few beauty blogging/make up artist friends) to help make the process a little easier for you! With all that in mind, let's get into it! I have been collecting my empty beauty products for quite some time now, with my last Emptying the Trash post being uploaded in October. I know, I'm a bad beauty blogger! I have a lot of empties to share with you all today, though it's not actually many as I had in the huge Kit Cosmetics bag I have for my empties - something nasty leaked through it and I didn't want to fish all my make up empties from the bottom. Let's just say I'm throwing out a bunch of my old eyeliners, all of the Maybelline Colour Tattoos I own (except for the Metal ones) and a few other random beauty bits so old you probably didn't even know I owned them! Normally I talk through everything I've finished, telling you what I thought and whether I'll repurchase it. It's late, however, and I want some sleep so I'm only going to talk about the products that I haven't reviewed, linking the ones I have. Post Christmas Haul ft. Mimco, Marc Jacobs, Becca and more! Just like I said I wouldn't buy anything on Black Friday, I said I wasn't going to pick anything up in the Boxing Day/post Christmas but, alas, we all know I was lying and, of course, I did. I stocked up on a few essentials, and I also took the opportunity to treat myself to a few bits I've been lusting over for a while. All of this was purchased over the span of about a month as the sales continued, both online and in store. 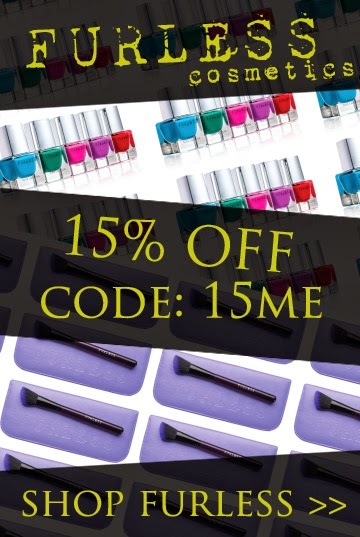 I don't necessarily know the discounts I received for most of these products, but I'll be sure to let you know if I can! A few weeks ago I was having a swatch-fest in Mecca Cosmetica, as every beauty lover does, when I found myself at the By Terry display. By Terry is a brand I've never really tried, purely because I can't justify the price tag, but I've great things about their products, especially their Ombrè Black Star Cream Eyeshadows. To curb my curiosity, I swatched a few of the Ombrè Black Star Cream Eyeshadows and instantly fell in love. The texture, the colours, the lasting power; it was all beautiful and I was totally smitten. Flash forward a mere few weeks and I've added four By Terry Ombrè Black Star Cream Eyeshadows to my make up collection and I couldn't love them more, not even if I tried. Haircare is something that I take quite seriously, though I don't talk about it often on the blog. With that in mind, I thought it might be an idea to start up a bit of a series where I talk you through my favourite products from each haircare category, starting with shampoo. Before I get into that though, I just thought it might be beneficial to tell you a bit about my hair. My hair is a medium length, I'd say, and pretty colour damage. I colour my hair a lot and it's not always a subtle colour, but we'll cover that in a bright colour post later in the series. My hair is a bit curly too. Sometimes the curls are nice, other times it's a frizzy mess. When my hair is reasonably healthy I like to use curl enhancing products to neaten the curl and tidy the frizz. The Covergirl Outlast Stay Fabulous 3-in-1 Foundation was all over the interwebs last year and the year before. Everyone seemed to love it! I had no intention to pick it up, nor did I have any real desire to try it, but I picked it up when I saw it on sale for 50% off after Christmas. I've been testing it out for a few weeks now so keep reading to see what I think! Without a doubt, my favourite type of haircare product is a good hair mask or treatment. As someone who's colour treated their hair since they were about 14 (often making dramatic changes resulting in lots of damage), my hair is constantly a little worse for wear and always appreciates some TLC. Almost every time I wash my hair I'll use some sort of mask or treatment in place of a conditioner, purely because I find them to be a lot more hydrating and beneficial. Plus, I think my hair appreciates it. The TONI&GUY Nourish Reconstruction Mask* has been on my radar for quite some time now, especially after hearing Natalia from Glossy Confidential rave about it because we tend to like very similar hair products. I've been using this mask for a while now so, for my thoughts, keep reading! I'm not sure why but I've been playing with the shape of my eyeshadow lately and I'm really enjoying how it looks so far. Regardless of the eye shape I've been going for, there's a look that I've found myself gravitating towards quite a lot. I've been wanting to share the look with you for a few weeks now so, with the lighting perfect, I decided this weekend was the time to take the pics and make this look happen. To see the look I created with these products, keep reading! 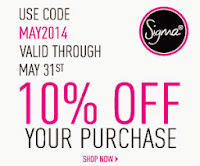 I just wanted to let you all know that I've just added quite a few new products to my blog sale. 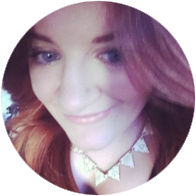 You can check out what I'm selling by clicking here but you can also access it at any time by clicking on the 'Blog Sale' tab on the top of any Born to Buy blog page. I will be adding a few other pieces over the coming weeks so be sure to check back! I've been using the Stila Eyes Are The Window Shadow Palette in Soul palette for a few weeks now after picking up during the Black Friday sales this year, so I figured it was time to let you know my thoughts! I was recently browsing through my file of photos for posts that I'm yet to upload when I saw these photos I took back in December. Whoops! This haul is huge, I'mma be honest, but in my defence it's four separate orders, one Tarte order and a trip to Kit Cosmetics all photographed in one because, well, who doesn't want to see a huge make up haul? I'm not going to talk through these products because a lot of them were Christmas deals that are now sold out (I'm really sorry about that) but I'll include prices in for your reference! 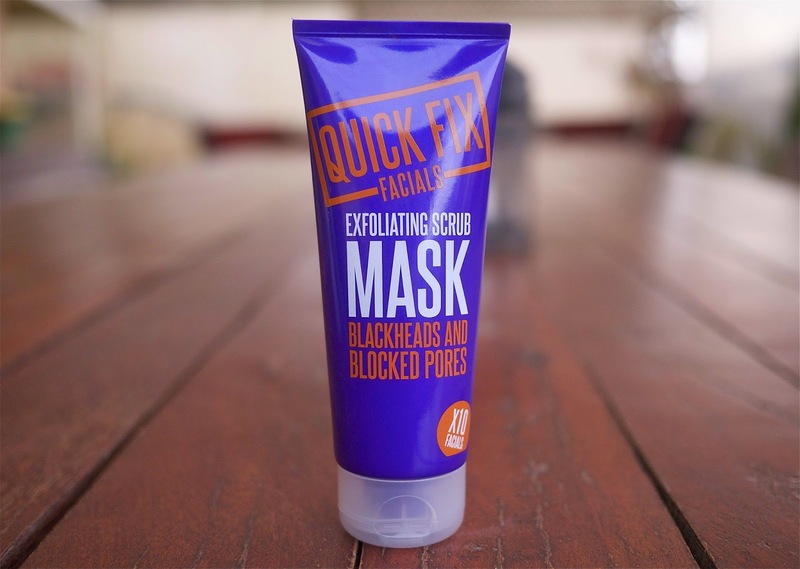 The Quick Fix Facials Exfoliating Scrub Mask for Blackheads and Blocked Pores* has been living in my skincare collection for quite some time now, being pulled out whenever I'm feeling a bit spotty and congested. I was using it recently when I realised that I've not reviewed it yet so keep reading to see my thoughts! 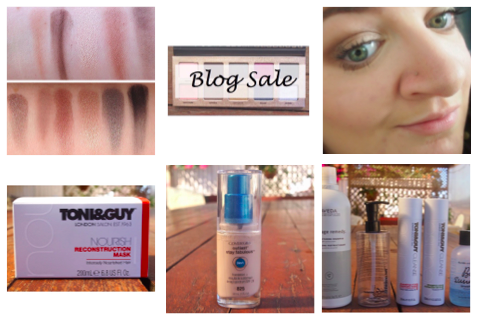 Last year I made some really amazing discoveries and found some ultimate beauty favourites. I've already talked you through my make up and skincare favourites and today I'm I wanted to share favourites that pretty much fit into any other category. Like always, my skin was incredibly temperamental last year but I've made a few skincare discoveries that have made things a lot easier in 2014. There are a few old favourites that I'm still reaching for quite often, one of which I've included in this post, but I'm sure you'll see the continue to pop up in posts throughout 2014. Anyway, all that aside, let's get into what I've been loving! Ahh, 2014 - you were a good make up year for me. Like always, I had the opportunity to test a lot of new (whether they were new to the beauty world or just to me) products in 2014; some of them were great, some really disappointed me and others were real stand out products! Like I do every year, I've compiled a bit of a list of beauty products that really stood the test of time for me over the year and today I'm here with the first instalment in the series, the make up products! I'm not going to talk about the products for too long because almost all of them have been reviewed previously so be sure to click on the review links if you'd like to read more about them! Quite some time ago I received a package of products from People for Plants, a relatively new skincare brand to hit the Australian market. People for Plants, created by Jamie Durie, is designed to address one's skin issues associated with climate, age and skin sensitivity. All products have a high level of certified organic ingredients which are said to be sourced 'directly from nature based on their key benefits'. 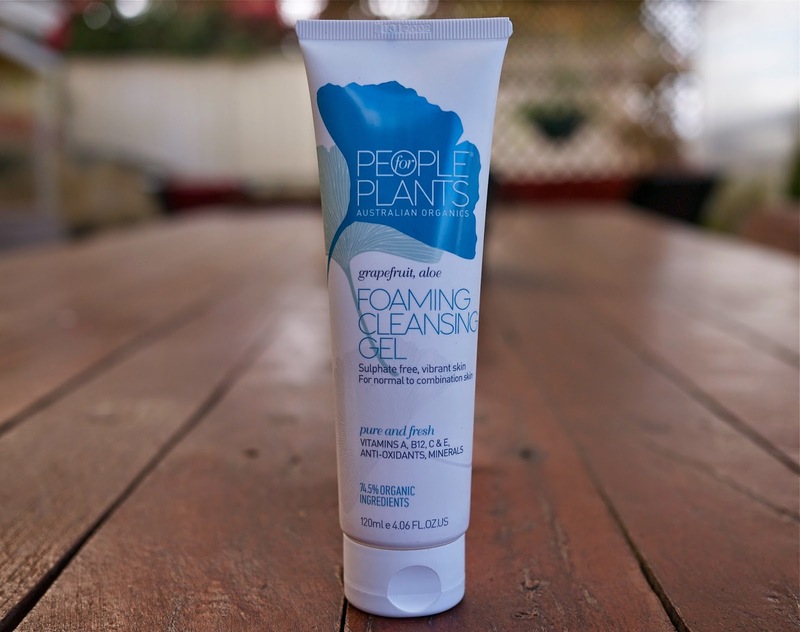 I've been playing with a few People for Plants products lately, with the Grapefruit Aloe Foaming Cleansing Gel* standing out as a favourite, so keep reading to see my thoughts. I just wanted to pop online today to wish you all a Merry Christmas and a Happy New Year! Whether you celebrate Christmas or not, I hope you've had a great week or so with family, friends and anyone else who is near and dear to you. That's what this time of year is about, isn't it? Once again, I'm sorry for being a bit intermittent on the blog. I feel like that's all been saying to you guys this year but, believe me, I really do mean it. I've had the past week off so I've taken the time to enjoy being with family and catching up with friends that I can't normally because we work at the same time! If you've been a part of the Born to Buy family for a while now, you'll know that 2014 was not my best year. Some fantastic things happened and it wasn't all bad, not by a long shot, but I became unwell and it snowballed into three or four sicknesses which was a long and draining process. My point is, I'm not normally one to be excited about the new year but you betcha I kissed 2014 goodbye with a smile last night! With all that in mind, I'll be back bigger and better now that 2015 is under way! I still have to photograph the prize for a mammoth upcoming give way (need to recruit a friend for assistance - there's too many prizes) and I have so many new products that I'm excited to share with you all. How was your Christmas and New Year period? Are you looking forward to 2015?